Leadership is a great value skill to have since the dawn of time. Leaders are well respected by societies, and people who know how to lead are among the most important historic figures and contemporary heroes. While most people can confuse leadership with management, there is no discussion about the fact that leadership is an asset in every work-related context. In order to understand the importance of leadership, especially in the Human Resources sector, a few questions should be asked: what is a leader? What are the theories behind leadership? How can a person improve its skills to become a better leader? 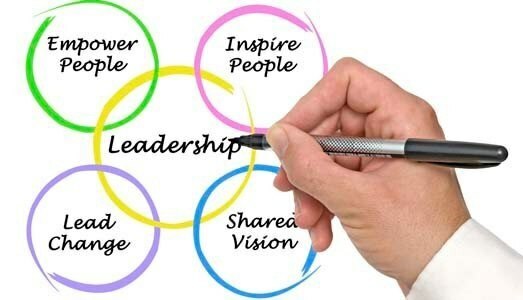 This essay will answer all these questions by taking into consideration first, what is a leadership theory and the difference between leadership and management, then, looking at two important leadership theories such as the transformational theory and the transactional theory, and how these can be found in organizations. Secondly, the essay will focus on a relevant skill such as the training and mentoring, detailing why it is important, and lastly, the essay is going to provide an example of objective, practice and learning of this skill in a real context, before heading to the conclusion. The methodology followed by the essay is to look up theories and primary sources, to show a deep understanding of those by practical examples, and then looking at personal experience to reflect the individual work done on skills and leadership as well. Those sources could be books, articles and credible website as well. The discussion around leadership could be dated back into the years of Greek philosophers such as Plutarch and Epicurus (Evans, 2018), and while lately other thinkers as well have said something about leadership, such as Machiavelli (Machiavelli and Connell, 2016), it is only in the last sixty years that serious academic studies had brought out different theories about what leadership is. Burns (1978) pointed out that a leader is a person who makes people follow them because of inspiration and not because of power over them, while a manager is someone that reinforce hierarchy and states directives, just to quote one example of an important scholar on the leadership field. It is possible to observe leadership through different prospectives, such as the trait and behaviour theory (Kirkpatrick and Locke, 1991), focusing on the idea that leaders possess certain traits or personal attitudes, or the functional theory (McGrath, 1962), where the role of a leader is to take care of the necessity of a group, and because of this every participates of the group can be a leader in some functions: every one of those theories brings something to the discussion and a unique point of view in the matter. Perhaps two of the most contemporary used and discussed theories about leadership are the transformational and transactional theories, developed both by Burns himself. In the Transformational Leadership Theory, leaders and followers engage with each other to raise motivation and morality to higher levels. Intellectual stimulation, with diverse point of views, are enhance by the leader, and everyone in the team feels motivated, because of the clear direction and purpose given to the group. The importance of the charisma is fundamental, as it is the person who leads that helps the transformation within the members of the group (Miner, 2005). A transformational leader guides with attention, meaning, trust and self: attention because people are drawn to them not by words but by actions and motivations behind the actions as well; meaning is the key to communicate an idea, and while a vision could be perceived as sterile and cold, a leader knows how to create substance behind an objective on different levels; trust is the foundation of a transformational leader, a person who stands up for its opinions and it is not afraid to bring them in the conversation; self, as the knowledge of strengths and weakness helps the leader to guide better (Bennis, 1998). Often, a transformational leader obtains the support of not only its direct followers but also of people above, because of the ability of the leader to inspire actions motivated by transcendental goals. On the other hand, the Transactional Theory is a leadership where the leader achieves its goals thanks to a reward method, in a hierarchical approach. It is a theory that reinforces the chain of command and often does not conceive room to the followers to give indications or different points of views. It is also known as the Managerial Theory, because it reinforces a principle by which managers all around the world continue to work upon: it draws attention on what a person could gain or lose by following the leader, creating a mechanism in which the reward is the key to get things done (Miner, 2005). Transactional leaders typically create an environment of competition, in which members of the group try to bring themselves to the best in order to receive a recompense, and the relationship continue as long as both parts, the leader and the follower, agree on what the reward should be and their needs are both satisfied (Trevor et al., 2009). The two theories are often used in comparison to one another, because of the evident differences in the approach and in the idea behind it. A transformational leader uses as motivation an idea to pursue, that brings the group together, create a sense of community, while the transactional leader uses the personal interest of the members of the group to achieve results, through an approach that praises a good behavior or action with something equal valued for the followers (Daft, 2008). Generally, those theories can be found in various forms in organizations. Most managers use, perhaps unconsciously, the transactional theory, with structured bonus as a prize to push their employees. Another occasion in which many societies use a transactional theory of leadership is whenever an objective is achieved by giving promotions or benefits when the target is reached. This is common practice in most work places around the globe (Marques, 2016). On the other hand, a transformative leader could be more difficult to find, especially in high competitive contexts, but there are examples of such types of leaders as well. Charismatic CEOs could be put in that area, as well as directors or managers who understand that sometimes a reward may be not enough to make people achieve certain goals. Sometimes only a vision of a leader can transform words into actions (Marques, 2016). Personally, I can think about two leaders of two different organizations, one transactional, the other one transformative. While they both had the same role, in different contexts, their approach to the job could not be more different: the transactional one only had in mind the reach of certain KPI. He used as a reward the possibilities to have an extension of our contracts, which were limited to one year, and he had little to none respect of other points of views, even when those came from people with more experience than him in the field. Opposite to him, there was this other team leader, and she always tried to bring out the best version possible of the team, by setting an example and be supportive and positive throughout the job hours. Those two opposite team leaders achieved very different results in their staff: while the transactional leader had to face multiple turn overs and a lot of controversy, the transformative leader was appreciated by the staff, the superiors and the company that have hired them in the first place. Training and mentoring in the HR context is a great skill to possess. Both are useful, and they can be related to the topic of leadership in more than one sense. Training can be defined as the ability of pass on knowledge and information, as well as transfer best practices and make people learn what they have to do, to do the job at their best. In our era, it is impossible to have a position that does not require constant training, as technology evolves and so the necessary skills evolve as well. Training in the HR context is a fundamental trait to have, both for the person itself but also in relation to others (Connor et al., 2012). Mentoring could be disguised as training, but it has some differences, as it is the skill that helps to make a further step in learning. It is the capability to inspire trust and gain follower not only because of the understanding of the matter but also because of the charisma and personality of the trainer. A mentor is someone that not only teaches people how to do their job, but also inspire them to love their job, a true transformational leader, as it was defined before (Connor et al., 2012). They are both important for various reasons. As said above, a super innovative world poses some challenges in the acquisition of skills to be excellent in various fields, including the HR sector. Be a person who knows how to train themselves and others could help to respond to such challenges, bring a plus to the society and the company. Training is also important because it is one of the first approaches of new employees with a new role in the company, so be able to train properly is a great asset as it forms new workers that are able to work at their best. It creates value, and helps bring a grown mindset in the organization (Bush and Chew, 1999). Mentoring is as equally important as training, for some of the same reasons, such as the ability to make new staff more able to be an asset, and the ability to respond better at the rapid changes of our time, but it also has some benefits on its own. A mentor creates value both because of what it is teaching, and how it is teaching. It is possible to say that a mentor doubles the value of the training, creating a space of inspiration and trust, that is a unique, positive feature in any company (Bush and Chew, 1999). When both skills do co-exist they bring a benefit to the society that cannot be calculated in money, as the training creates the content value, while the mentoring creates the meaning behind the content. To develop the skills of training and mentoring I began with an objective in mind: be able to reach people in a way that creates two distinctive values: from training I want to be able to leave behind the knowledge necessary in the field I’m training, while for mentoring I want to pass why that piece of knowledge was important and the meaning behind it, not only from the perspective of the single worker but also for the entire company as well. Making an example, if I have to train and mentor a group of new resources in a call center environment, my objective is to give them the tools to make their future job easier, such as the soft skills of empathy and active listening, while at the same time provide them with examples of such skills when they confront with me. Secondly, by showing them how those skills make impacts that goes ahead of a satisfied customer or a well managed call. I have practiced this in the workplace first, leading by example. In my training and mentoring I tried to be empathically with everyone and actively listening to them, always. I also asked senior members of the team to talk about the importance of empathy and active listening, making them describe a real situation in which those two skills have helped them. I trained myself by participating in a course, and asked my superior if it was possible to develop a new training practice for new workers in the company. My effort provided some empirical results as a reduced turn-over in the first three months of the job, and an overall improved score of satisfaction at work for the most recent staff. During this experience I have learnt a lot about myself. This was the first results that come to my mind, because in order to be able to propose such changes in the workplace, I had to be able to present them as a first-hand experience. Secondly, I had learnt a lot from other workers that I trained and mentored. To be a leader requires a two ways relationship, therefore it is impossible to be a trainer and a mentor without listening to the stories and the special points of view that the person you are training brings to the table. I also learnt that it is always possible to make changes: many colleagues were doubtful about the outcome of my proposal, but my positive attitude and my proactivity have proved that, with good example comes good results as well. In this essay I have defined what a leadership style is and described two of the most compelling theories about leadership in our time. The transformational theory and the transactional theory represent two different prospective about how a leader can guide followers. The first theory is a leadership by example that brings new values, inspiration and interest thanks to the charisma of the leader. The second is a style more hierarchical, that calls for a reward-punishment mechanism, and it is also known as the managerial style. I have provided different examples of both styles generally in organizations and more specifically in environments I know about. Then, I have talked about the training and mentoring as skills in the HR context, first by defying them and second by exploring the importance of those traits, underlining the differences and the similarities between them. Lastly, I reflected about my own experience in the development and practice of mentoring and training in a real life situation, giving my own experience in the matter, and learning a lot about myself, the other workers and the importance of mentoring and training, but also about the importance of leadership in my profession. Bennis, W. (1998) On Becoming a Leader, Reading, Arrow. Bush, T. and Chew, J. (1999). Developing Human Capital: training and mentoring for principals. Compare: A Journal of Comparative and International Education, 29(1), pp.41-52. Daft, R. (2008). New Era of Management. Cengage Learning EMEA. Evans, J. (2018). What can business leaders learn from ancient philosophers?. [online] the Guardian. Available at: https://www.theguardian.com/sustainable-business/business-learn-from-ancient-philosophers [Accessed 14 Jan. 2018]. Kirkpatrick, S. and Locke, E. (1991). Leadership: Do traits matter?. [ebook] Academy of Management Executive. Available at: http://sbuweb.tcu.edu/jmathis/Org_Mgmt_Materials/Leadership%20-%20Do%20Traits%20Matgter.pdf [Accessed 14 Jan. 2018]. Machiavelli, N. and Connell, W. (2016). The prince. Boston: Bedford/ St. Martin’s. McGrath, J. (1962). Leadership behavior. Washington, D.C.: U.S. Civil Service Commission. Miner, J. (2005). Organizational behavior 1. New Delhi: Prentice-Hall of India Private. Trevor, A., Ristow, A., Perse, N. and Ristow, L. (2009). Human Resource Management. Juta and Company Ltd. Writing Services by WritinK is rated 4.7/5 based on 36 customer reviews. Like the above SAMPLE ? Order your own Custom Written & Unique Paper Now.